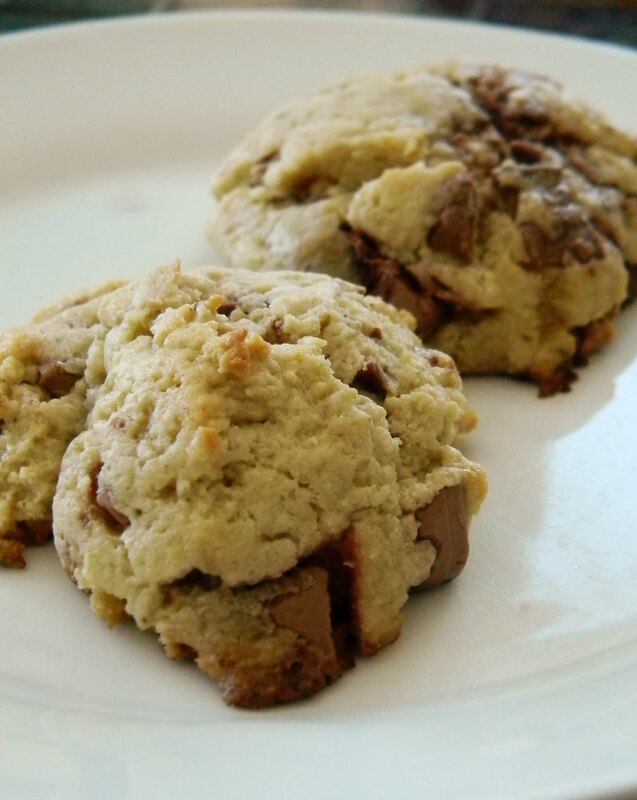 "Cheesecake" Chocolate Chunk Cookies | What Smells So Good? In a bowl, beat together the shortening, coconut oil, sugars and Truvia until well blended. Add the cottage cheese, protein-fortified “milk” beverage, vanilla and chickpea flour, beating well. Add the flours, whey isolate, nutmeg, baking powder, baking soda and salt and mix to combine. Wrap dough in plastic and chill 1 hour, or up to 3 days. You can also scoop balls of dough onto lined trays immediately after mixing and freeze for later baking - something I love doing for the holidays! Heat the oven to 350F and line baking sheets with parchment or SilPat. Scoop 20 balls of dough onto the sheets, flattening slightly.